I have often overlooked rosemary as a herb and really just associated it with roasted potatoes. I feel like I have never really given it a chance! So at the veg market the other day I was collecting my weekly bunch of basil when the lady pulled out this huge handful of rosemary, and I thought what the hell, its something different than usual and I figured I would find something to do with it. It was only about 50p for the whole lot. When I got back to the ship I thought I would get a bit more creative and make a selection of rosemary flavoured and scented things, wanting to give this beautiful herb its due. 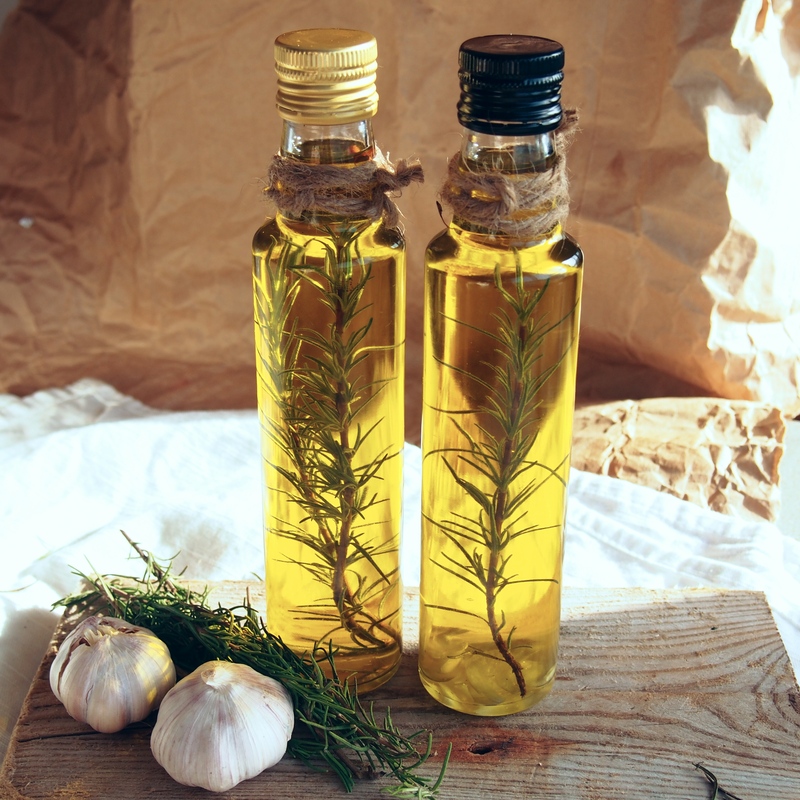 As with most green herbs, rosemary is an awesome anti-oxidant, it can also stimulate your immune system, improves blood flow to the brain improving mental capacity and concentration, helps with indigestion and protects against certain carcinogen to prevent cancer. Its definitely up there with amazing foods you should include in your diet. 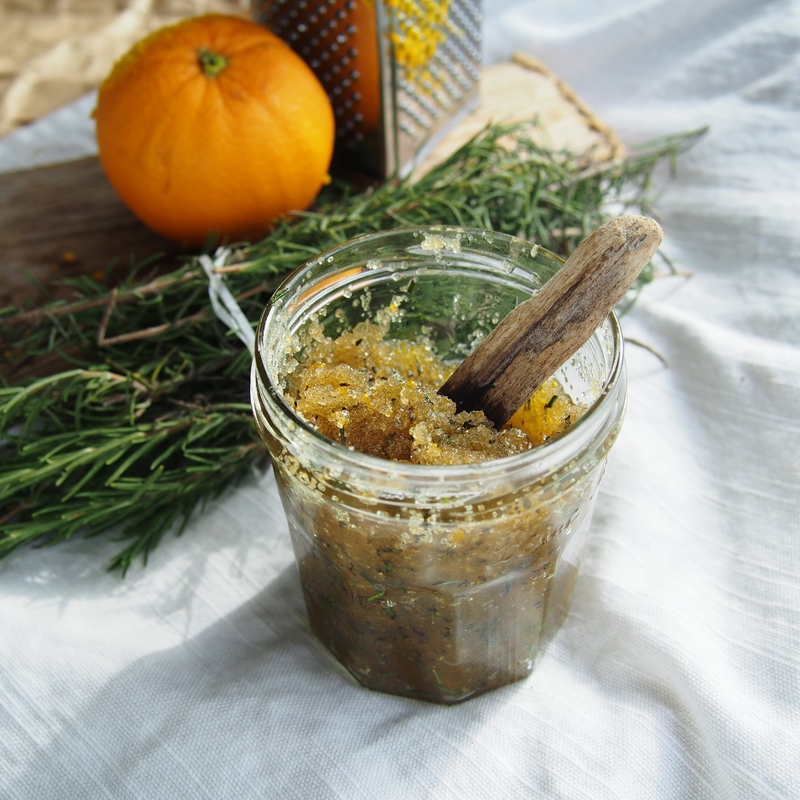 So below I give you four of my favourite rosemary recipes… Rosemary and Garlic Infused Olive Oil, Rosemary Salt, Watermelon and Rosemary Flavoured Water and Rosemary and Orange Sugar Scrub. A few of these can make lovely little food gifts for people if you wrap them up with labels and ribbons etc. Heat the olive oil until warm but not smoking. Using a funnel transfer the oil into the bottles amd let cool. Use on salads, in dressings etc and use within 2 weeks. 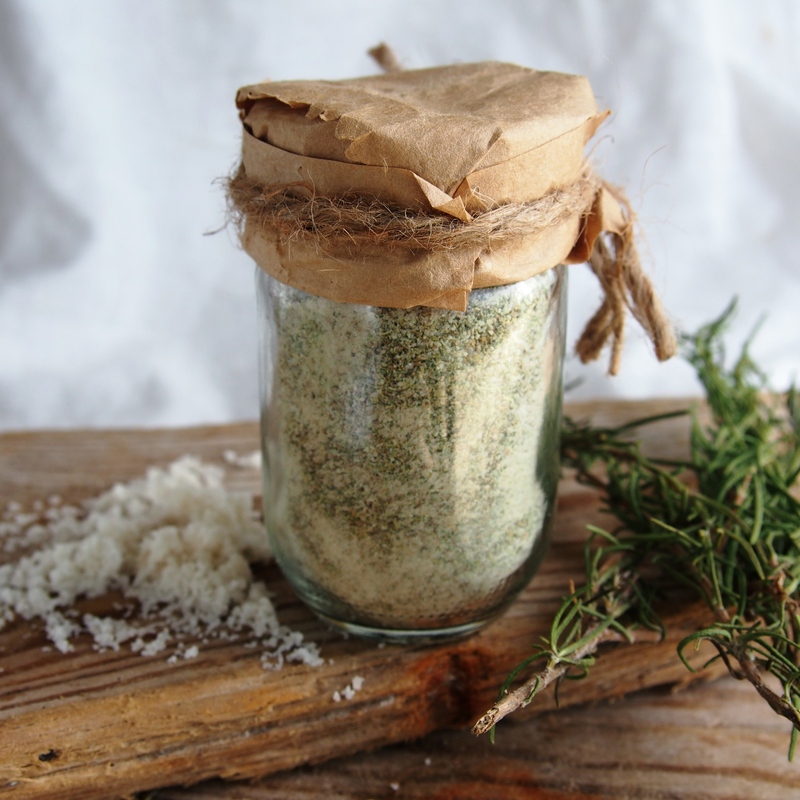 Grind the salt and rosemary together in a blender or clean coffee grinder until well mixed and the rosemary is ground. Place salt in a dry skillet and gently heat until the salt is dry, for around 10 minutes. Use in place of salt to add extra flavour to dishes. Works well on top of garlic breads, bruschetta and in salad dressings. 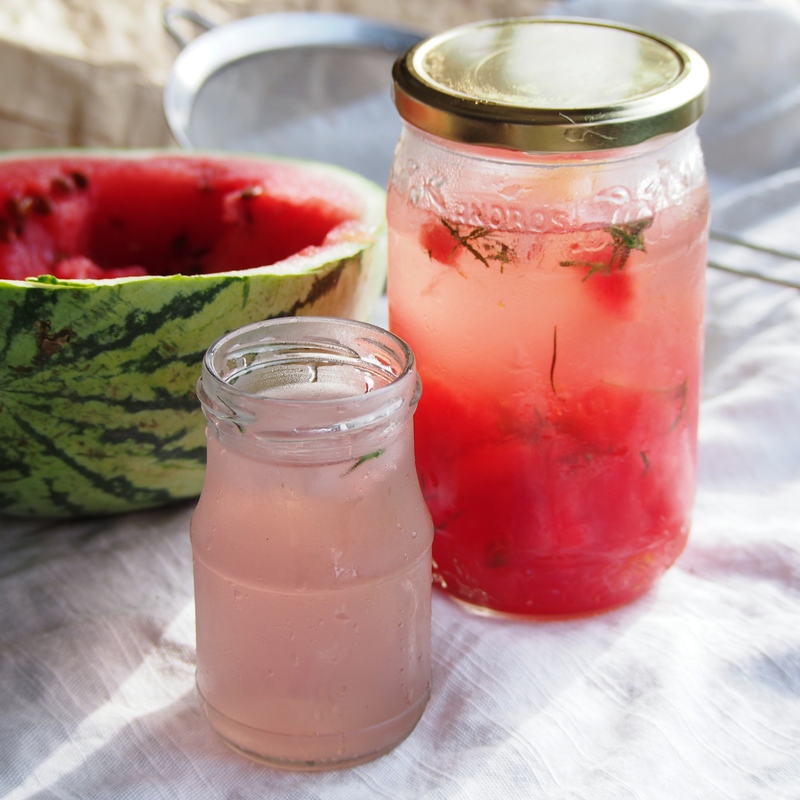 Place the watermelon and rosemary in a large jar with a lid, approximately 1 litre capacity, and using the end of a wooden spoon mash them up at the bottom. Add lime peel if using, top with ice and the fill to the brim with spring water. Cover with the lid and place in the fridge or an hour or until ready to serve. Serve by pouring through a sieve into glasses to lose the bits and enjoy! Easy and natural flavoured spring water, perfect for parties and picnics. 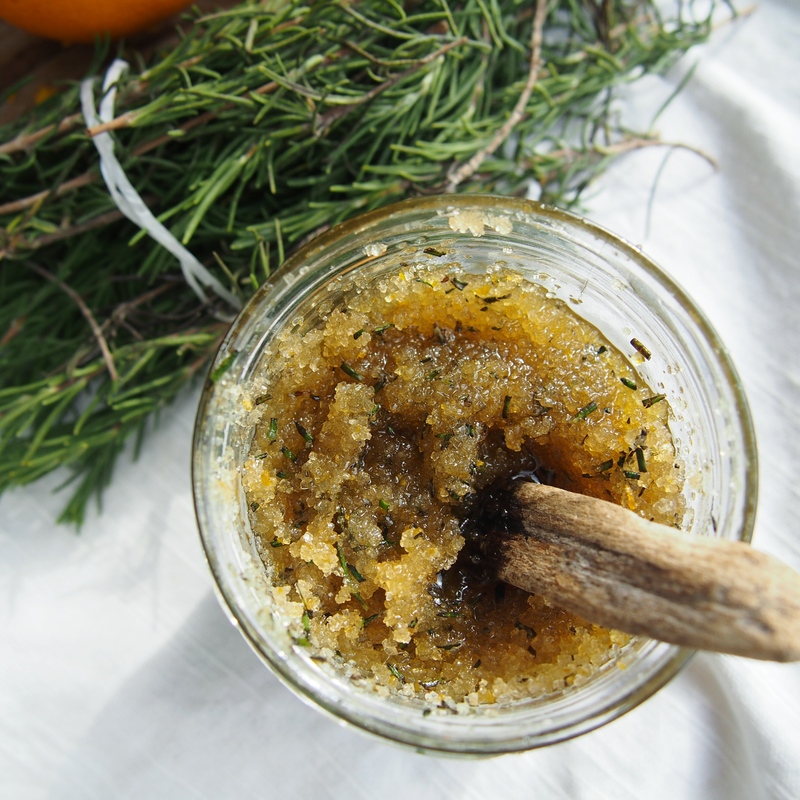 Mix the sugar and your oil of choice together in a bowl, then stir through the rosemary and orange zest. Store in a glass tub or jar. Use this sugar scrub on to soften and exfoliate your skin, hands, lips, face etc. Scrub, wash away and pat dry. Makes your skin feel amazing and smells delicious. 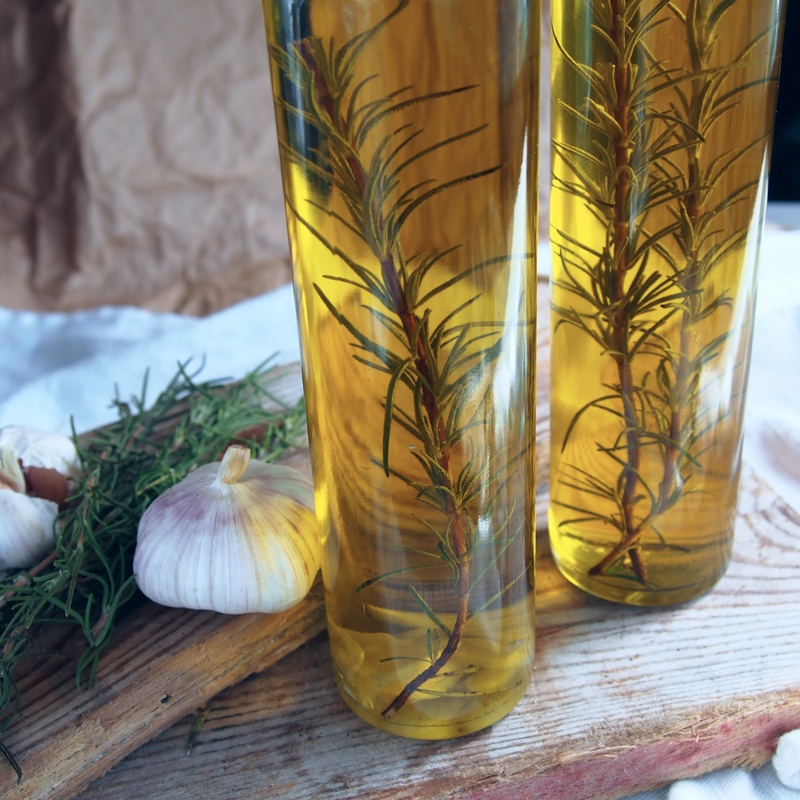 I love Rosemary some fab ideas?i must give a try. Thank you . Rosemary and cranberry bread. Morrison’s used to do rolls which I loved. But they stopped so I started making my own. 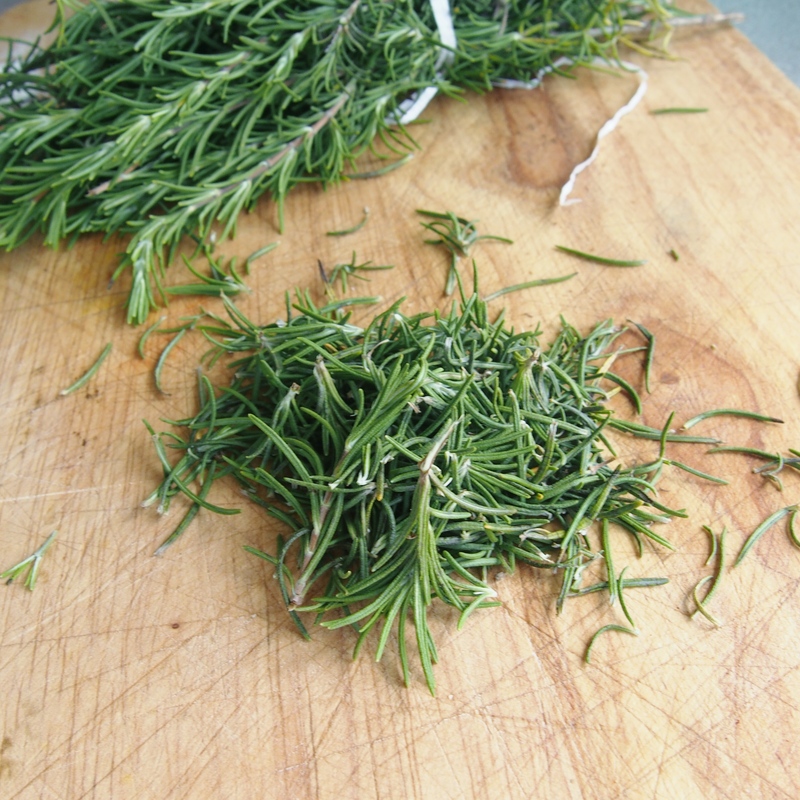 Rosemary is my favourite herb and it’s so versatile! Your scrub recipe sounds wonderful!